I had won the Saran (Chhapra) Lok Sabha seat in the 2009 elections, but I was now just an MP. Mamata Banerjee had replaced me as the minister for railways in UPA-II. 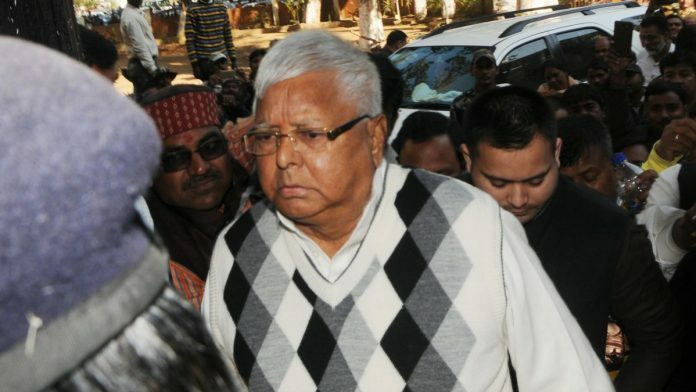 Besides, the RJD had lost power to the BJP-JD(U) in Bihar four years earlier. As usual, I used to move around in the hinterland, campaigning against Nitish for entertaining communal forces and vitiating the atmosphere of peace and brotherhood in the state. While travelling among the people, I received certain specific feedback about the RSS’s operations in Bihar. The organization had little clout in Bihar when Nitish took over in 2005. RSS workers simply had no courage to organize their shakhas in any part of the state as long as we were in power. Successive RJD governments had ensured that the Sangh’s divisive ideology didn’t gain a foothold in the state. Several stalwarts and foot soldiers of the Sangh Parivar had tried their best to gain prominence in Bihar in the wake of Advani’s Rath Yatra, which I had truncated. I was (and am) contemptuous of the RSS and kept its leaders at arm’s length. I had even banned the entry of Ashok Singhal, Giriraj Kishore and Praveen Togadia. The BJP, though, is the RSS’s political wing, and recognized by the Election Commission of India. We could not have ignored the BJP in electoral contests. The RSS has been outlawed on three occasions, the last time after the demolition of the Babri mosque. But I have treated it as an outlawed organization all through my life. The RSS is infested with people of Godse’s mindset. They have even laid the foundation stone for a temple in Godse’s honour in Madhya Pradesh, with the tacit support of the BJP. My fight against such elements will continue. Nitish remained inactive as the RSS stepped up its activities and communalized Bihar’s hinterland from 2005 to 2013. He swore on socialism and Lohia’s ideals, but that was merely to mislead the minorities. In reality, he worked in the RSS’s interests. People belonging to the Nitish lobby often speak highly of the manner in which he ‘positively revamped the image of Bihar’ and delivered multifaceted benefits to the masses. But the fact is that the only entity which has actually prospered and progressed under Nitish as chief minister is the RSS. The RSS had begun organizing its camps in Darbhanga, Madhubani and large parts of the Kosi-Seemanchal region, which had a sizeable presence of the minorities. I silently deployed some of the RJD’s young and smart cadres in the guise of RSS cadre, and they attended a few RSS camps in the Seemanchal region to gather information about the organization’s plans. The RSS had been organizing shakhas in the nonMuslim villages inhabited largely by people belonging to backward and Dalit castes. They would also distribute some booklets denigrating the minority religion and culture. The RSS organized its camps in a similar manner in various parts of the state. It chose to operate in Hindudominated villages close to those largely inhabited by the minority community. I had goosebumps on hearing these insider details about the RSS’s operations in Bihar. I knew that it would be of no help if I shared the information with the government, since the chief minister was supportive of the Sangh Parivar’s activities. I addressed a series of meetings in the Kosi-Seemanchal region comprising Purnea, Katihar, Araria, Kishanganj, Bhagalpur, Madhepura, Saharsa and Khagaria, sharing my feedback, and warning people against the poison of hate being spread by the RSS among the poor and the innocent. I asked them to refrain from attending RSS camps, and to maintain an atmosphere of brotherhood and harmony. Nitish and BJP leaders interpreted my tough talk against the RSS as my effort to bring back the so-called Jungle Raj or Aatank ka Raj (reign of terror). Mujhe dekh kar RSS wale aise bhadakte the, jaise lal rang dekh kar saandh bhadakta hai (On seeing me, RSS volunteers would get as furious as a bull does on seeing a red flag being waved in its face). The fact remains that Nitish has silently and assiduously facilitated the spread of the RSS in the state. As chief minister, he ensured that RSS leaders got the space and respectability which had eluded them during the RJD’s tenure. Mohan Bhagwat, and several other leaders have regularly visited the state and have organized camps. The ever obliging Bihar government ensured security and other arrangements for the RSS operatives. Today, the RSS has a free run in the state. It operates through a plethora of its affiliates—Bajrang Dal, VHP, Gaurakshak Mandal, ABVP, Sanskar Bharati and Ekal Vidyalaya, among others. It has some 2,000 branches operating at the grass roots level. Nearly half of the RSS’s shakhas are located in north Bihar, and the idea is to increase the number and polarize people further in the region. According to some reports, the RSS has now ambitious plans to grow multifold in the northern parts of the state, with Muzaffarpur being the pivotal point. At the beginning of 2018, Bhagwat began his ten-day tour of Bihar with the aim of expanding the organization’s footprint in north Bihar in time for the 2019 Lok Sabha elections. The Sangh has, as a result of the government’s munificence, gained in strength to keep the communal pot boiling, and in the process it has helped the BJP. The organization owes a lot to Nitish, and Nitish, in turn, should be obliged to the organization for its backing of the political dispensation led by him. 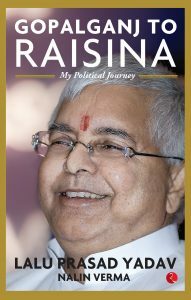 This excerpt has been published from Gopalganj to Raisina: My Political Journey by Lalu Prasad Yadav with permission from Rupa Publications.